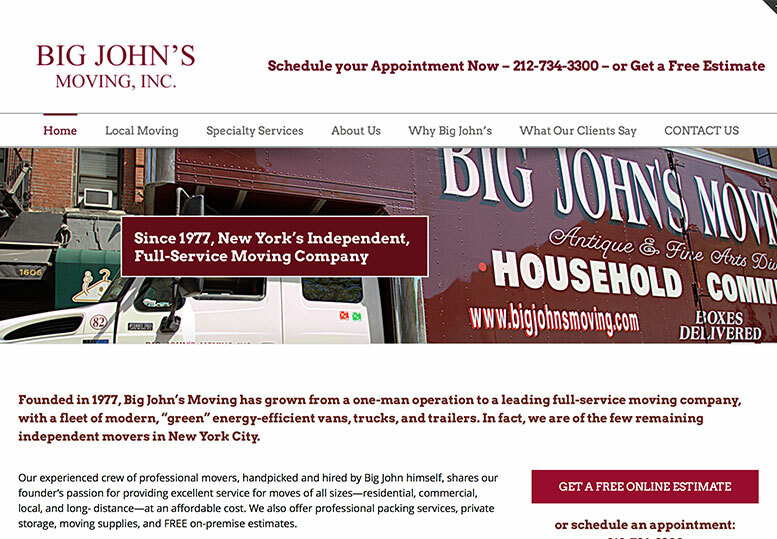 This Manhattan moving company’s website structure was a confusing jumble of vertical and horizontal tabs, which made it difficult to find information quickly and easily. Working with the designer, we reduced the number of main menu tabs and added easy-to-use drop-down menus to eliminate clutter and greatly simplify site navigation. I recommended adding client testimonials to appropriate pages, gave the revised FAQs its own main menu tab, and added a new benefits page.